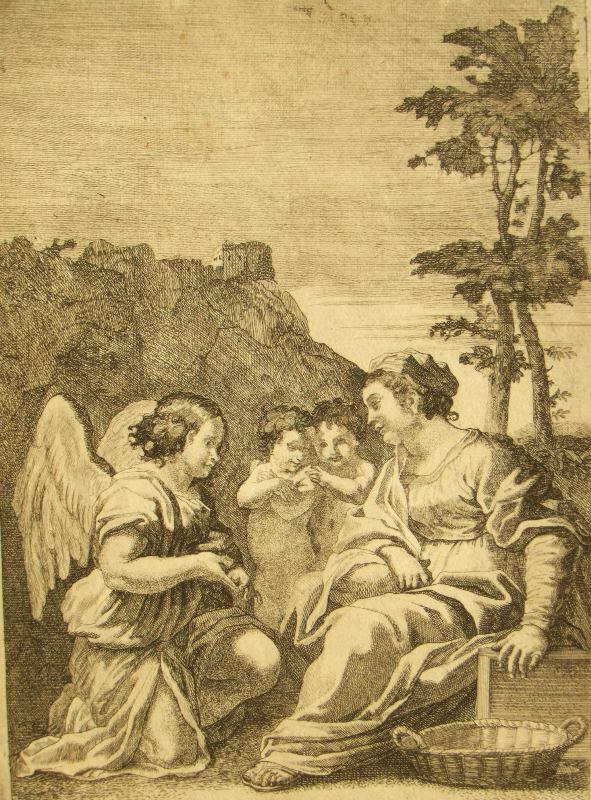 An original and rare Master copperplate engraving from 1758. 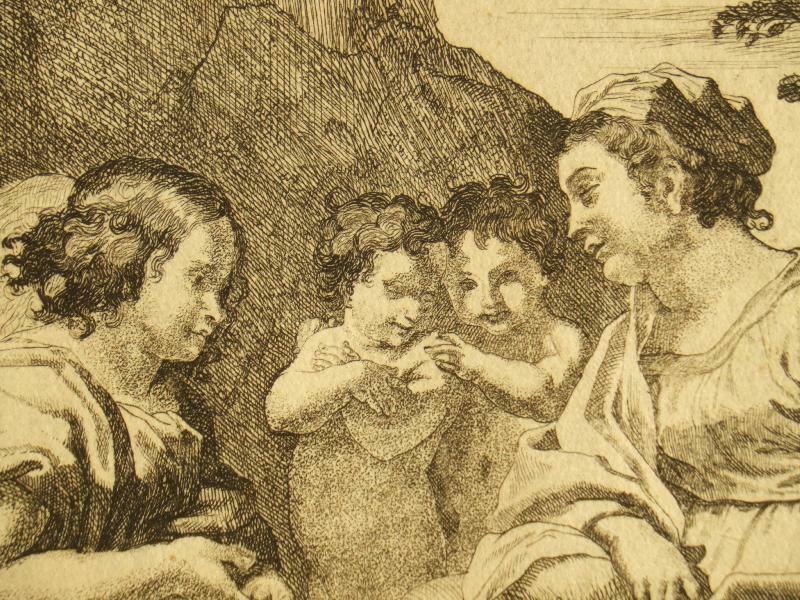 Anton Joseph von Prenner; 1683 Wallerstein - Wien 1761, Austrian painter, etcher from Vienna. 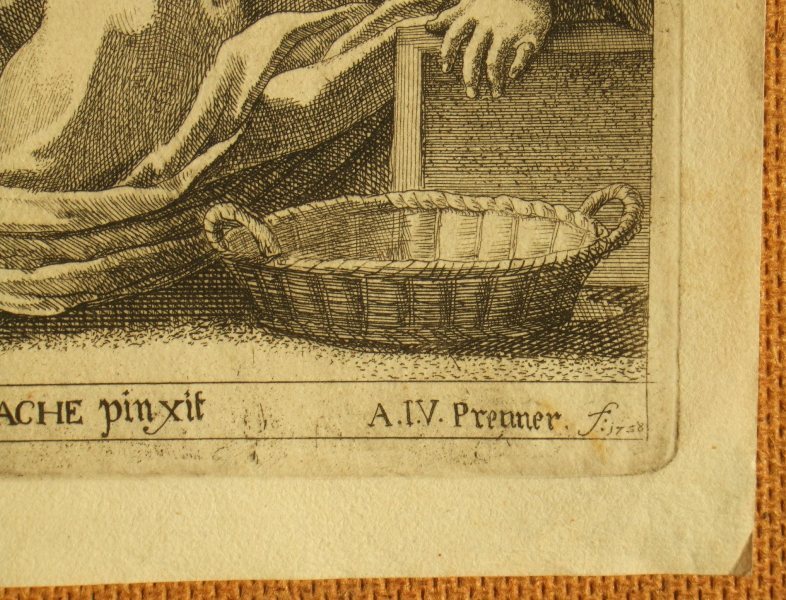 After the death of Mannl and in collaboration with Andreas Altaumont, Frauas, Stampart, Johan Adam Schmutzer, undertook the engraving of the imperial art collections of Vienna as 'Theatrum artis Pictoriae' from 1728 to 1733. A fine original etching which is bright and unfaded, with black intaglio ink lines and superb detail, the image size measuring approximately 15 cms. x 22 cms. (5¾ x 8¾ ins.) 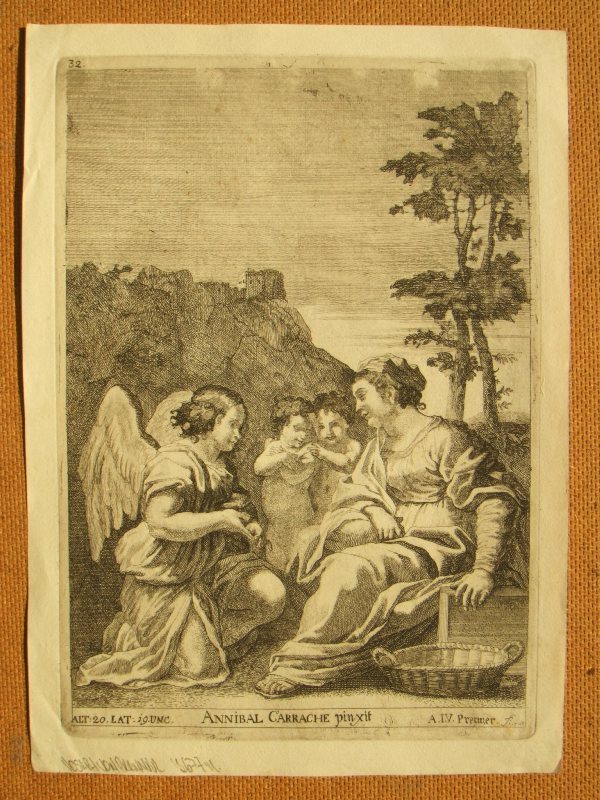 within a strong platemark and impression on an early hand made laid paper sheet size of 18 cms. x 25 cms. (7 x 9¾ ins.) with makers watermark. 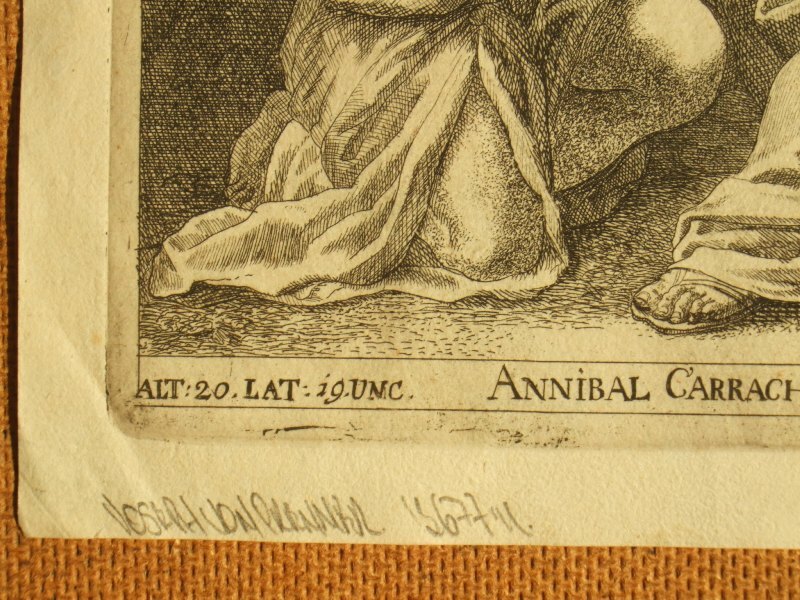 Unframed and unmounted, the condition of the image is good, and the sheet fair with an age toning, soiling and handling marks condusive with age.